Keith Orso is hiring chair for the Los Angeles office of Irell & Manella LLP, where he practices patent law in the litigation and intellectual property groups. He has experience with a wide variety of technologies, ranging from computer architecture and communications to medical devices, pharmaceuticals and biotechnology. Before entering law school, Keith obtained a master’s degree in Chemical Engineering from the University of Texas at Austin. His research and writing focused on the material properties of polymer thin films, and his graduate coursework included subjects such as solid state physics, surface phenomena, applied kinetics and chemical reaction analysis, mass transfer and separations processes. As an undergraduate at Harvey Mudd College, Keith studied electrical, computer, chemical and mechanical engineering, simultaneously completing the requirements for a major in Economics at Claremont McKenna College. He also worked with thin film inductive and magnetoresistive disk drive technologies as a design and product engineer at Applied Magnetics Corporation. AIDS Healthcare Foundation Inc. v. Gilead Sciences, Inc. Served as counsel to Gilead Sciences in a case in the U.S. District Court for the Northern District of California seeking declaratory judgment of patent invalidity and alleged violations of the Sherman Act, the Cartwright Act, the California Business and Professions Code § 17200 and Nevada Unfair Trade Practices Law. The court granted Gilead’s motion to dismiss all claims, and plaintiff is appealing. Boehringer Ingelheim International GmbH et al. v. Biogen Inc. (Patent Trial and Appeal Board, IPR2015-00418). Served as counsel to Biogen in a petition for inter partes review (IPR) proceedings filed by Boehringer against a patent relating to use of the biologic rituximab to treat low-grade B cell non-Hodgkin’s lymphoma. The U.S. Patent and Trademark Office (USPTO) declined to institute IPR proceedings, ruling that Boehringer had not established a reasonable likelihood that it would prevail in demonstrating that any claim of the patent at issue is invalid. Mylan Pharmaceuticals Inc. v. Gilead Sciences, Inc. (Patent Trial and Appeal Board, IPR2014-00885, IPR2014-00886, IPR2014-00887, and IPR2014-00888). Served as counsel to Gilead Sciences in four petitions for IPR proceedings filed by Mylan against Gilead patents related to the HIV drug tenofovir disoproxil fumarate, which is found in medications such as Viread and combination therapies such as Stribild and Truvada. The USPTO declined to institute IPR proceedings on all four petitions, ruling that Mylan was unlikely to establish that any claims of the four patents are invalid. The USPTO also denied Mylan’s petitions for rehearing. St. Jude Medical Inc. v. Access Closure, Inc. 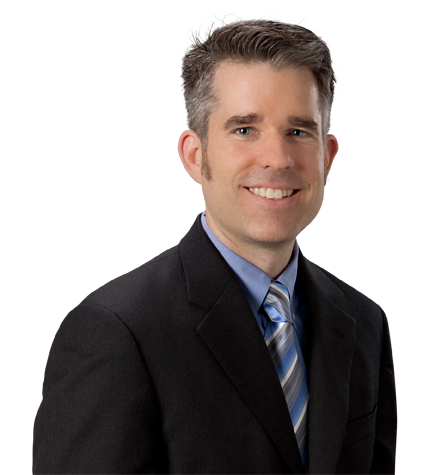 Served as counsel to St. Jude Medical in a patent infringement case in the U.S. District Court for the Western District of Arkansas relating to vascular closure devices. The jury returned a verdict of willful infringement and awarded St. Jude $27.1 million in damages. The Salk Institute for Biological Studies v. Ferring Pharmaceuticals, Inc. Served as counsel to Ferring Pharmaceuticals in a case in the U.S. District Court for the Southern District of California alleging, among other things, that the Salk Institute was the exclusive owner of a Ferring patent and that Ferring infringed a Salk patent. Ferring moved to dismiss the claims for failing to state a claim as being time-barred and as otherwise defective, and within a month the case was dismissed with prejudice. Microprocessor Enhancement Corp. v. Texas Instruments Incorporated. Served as counsel to Texas Instruments in a patent infringement case in the U.S. District Court for the Central District of California relating to microprocessor architecture and conditional instruction execution. Irell obtained summary judgment of noninfringement on behalf of Texas Instruments and the judgment was affirmed on appeal. After the case concluded, the patentee again sued Texas Instruments, alleging infringement of different products based on the incorporation of various ARM processors. Again, Irell obtained summary judgment of noninfringement on behalf of Texas Instruments. Quantum World Corp. v. Atmel Corp. et al. Served as counsel to Atmel Corporation in a patent infringement suit in the U.S. District Court for the Eastern District of Texas involving patents directed to random number generators. Tessera Technologies Inc. v. Amkor Technology. Served as counsel to Tessera Technologies in an arbitration before a three-judge panel in the International Chamber of Commerce relating to royalties due under an agreement licensing patented and unpatented semiconductor packaging technology. Affymax, Inc. v. Johnson & Johnson. Served as counsel to Affymax in a dispute in the U.S. District Court for the Northern District of Illinois and before the American Arbitration Association involving the proper inventorship of various patents and patent applications covering erythropoietin (EPO) mimetic peptides. DataTreasury Corp. v. NCR Corp. Served as counsel to NCR Corporation in a patent infringement case in the U.S. District Court for the Eastern District of Texas involving check image processing technology. Quidel Corp. v. Inverness Medical Innovations, Inc. Served as counsel to Quidel Corporation in a patent infringement case in the U.S. District Court for the Southern District of California involving thin film lateral flow immunoreactive diagnostic test devices. Intergraph Hardware Technologies Co., Inc. v. Hewlett-Packard Co. Served as counsel to Hewlett-Packard in a series of patent infringement cases in the U.S. District Court for the Eastern District of Texas involving cache memory technology and microprocessor architecture. Townshend Intellectual Property L.L.C. v. Cisco Systems, Inc. Served as counsel to Cisco Systems in a patent infringement case in the U.S. District Court for the Northern District of California involving 56k modem technology. Stamps.com v. Pitney Bowes, Inc. Served as counsel to Stamps.com in a series of patent infringement cases in Delaware involving electronic postage, encryption and networked systems for secure transmission of postage over the internet. Linear Technology Corp. v. Novellus Systems, Inc. Served as counsel to Novellus Systems in a contract dispute in Santa Clara County Superior Court relating to the sale of allegedly infringing semiconductor wafer manufacturing equipment. Novartis Consumer Health, Inc. v. Elan Transdermal Technologies, Inc. Served as counsel to Elan Transdermal Technologies in a patent infringement case in the U.S. District Court for the Southern District of Florida involving transdermal nicotine patches.